A darkly funny story, with artwork from the creator of Great Bunny Bakes, Ellie Snowdon. When Gerald the fox turns up at the Annual Woodland Creatures' Ball, a few of the guests are a little concerned. After all, they've heard some rather alarming rumours about foxes and their appetites. But they needn't have worried - Gerald is a vegetarian fox, and the life and soul of the party! In fact, he's terribly friendly. A darkly funny story, with artwork from the creator of Great Bunny Bakes, Ellie Snowdon. 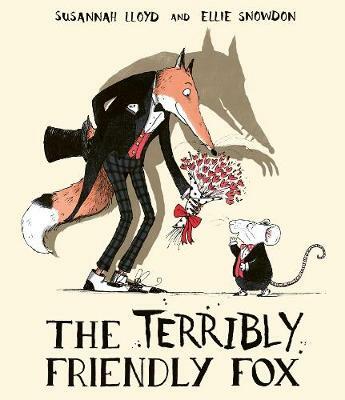 Susannah Lloyd is the author of The Terribly Friendly Fox, illustrated by Ellie Snowdon, and This Book Can Read Your Mind, illustrated by Jacob Grant. She lives in Yorkshire with her family. Find her online at www.susannahlloyd.com and on Twitter @Susannah_Lloyd Ellie Snowdon is a fabulous new talent in picture books whose work has a timeless feel with a contemporary spirit. In 2015, she graduated from the Cambridge School of Art with an MA in Children's Book Illustration and was highly commended twice for the Macmillan Prize in the same year. After a few years in London, she has recently moved back to her hometown of Swansea, where she works from her studio with seaside views and her feline assistant, Baggy. When she's not working, you can find her enjoying an afternoon mystery drama while scoffing down some lemon cake. For more information about Ellie's work, please visit her website: https://www.elliesnowdon.co.uk/.